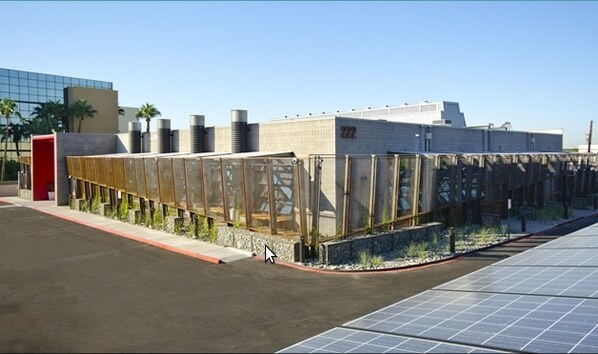 DPR “net zero energy” building. Image Credit: Building Dashboard. It is the largest building in the world to receive such a certification from this particular institution. It was originally a windowless concrete block building from the 1970s which was aging. It was a 16,553-square-foot storefront. It is pretty impressive that it was turned into such a masterpiece of energy efficiency. Many building owners may think it’s impossible to turn an aging, neglected building into something highly sustainable – especially in an extreme climate like Phoenix,” said Mark Roddy, SmithGroupJJR design principal. But that’s precisely what we’ve achieved. To achieve net-zero status, a building must have a net energy consumption of zero over a one year period.